Since our last budget buyer's guide back in November 2011, there have been many developments in the budget sector of the DIY market. Perhaps most noteworthy, SSD costs have finally fallen far enough that they are within reach of price-conscious builders. Given that mechanical hard drive prices remain inflated in the wake of last year's flooding in Thailand, I have been putting lower capacity SSDs in budget builds more frequently than HDDs in the last few months. That said, it's worth elaborating that while you might have become used to larger capacity hard drives in the last few years, a 60/64GB SSD is more than enough space for a basic machine that will have Windows 7, Office, and a few other productivity applications installed on it and not be used for personal storage. 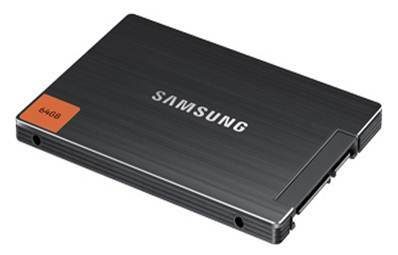 Even a 40GB SSD can comfortably contain Windows 7, Office, and many small applications. Of course, the small size of SSDs might very well preclude their inclusion in your system if you need more space—know what your storage needs will be. Thus, in the office builds, we include both SSD and HDD options. Gamers will likely want to stick with larger HDDs because a gaming library will quickly surpass the capacities of less expensive SSDs. Also of note is the disappearance of AMD's lower-end Athlon II CPUs from retail channels. I probably built more computers with the AMD Athlon II X2 250 than every other CPU model combined from 2009 to earlier this year. That chip and its close relatives are now rarely available from retailers, and that limits budget processor choices. In the previous budget buyer's guide, I compared the Athlon II X2 250 with the then newcomer Intel Celeron G530, a super-cheap chip based on the Sandy Bridge microarchitecture. The G530 has become the king of the budget CPUs. While AMD's Llano APUs offer acceptable computing, for CPU-centric tasks—that is, non-gaming—the G530 remains a better choice than the comparably priced lower-end Llanos. Since most home and office users aren't playing games, I've built more and more G530 systems as X2 250s have become harder to find. However, the higher-end Llano APUs offer a very good value for gamers on a very tight budget. There are also a few new budget cases that have caught our attention here at AnandTech in 2012 that we'll highlight in the guide. NZXT's Source 210 case is a capacious offering that's easy to work in, offers attractive, subdued lines, and is well-built; its 'elite' brother is one of the least expensive cases with front panel USB 3.0 support. Dustin recently reviewed the Cooler Master Elite 120, an inexpensive ITX case that I just got my own hands on that has impressed me. Finally, new video cards—as well as old video cards with new prices—put more gaming power in the hands of budget gamers than ever before. Those are covered on the gaming build page. First, though, we'll start with the basic office productivity builds on the next page. Is memory bandwidth so unimportant on these budget systems that 2 DIMMS for dual channel RAM isn't worth it? Might as-well drop in 2x4gb or 2x8gb sticks of DDR3 1866mhz ram anyway, Ram is stupidly cheap these days and the faster ram is very noticeable with APU's. For the APU build using a single channel will hurt performance quite a bit. Seriously, you can get a 2 x 2 kit off newegg for $25. Some of them are decent kits even, like the Ripjaws X kit. So you're saving TWO DOLLARS and cutting your performance down hard. The 3870K even has some decent overclock potential, both on the CPU and GPU sides. I'd say that you're better off waiting for Trinity to hit the desktop, except that the unlocked Trinity chips will probably price them out of the budget system entirely. That answers my second question. I was thinking desktop Trinity must be right around the corner at this point. But, even then it may not fit in a true 'budget' category. 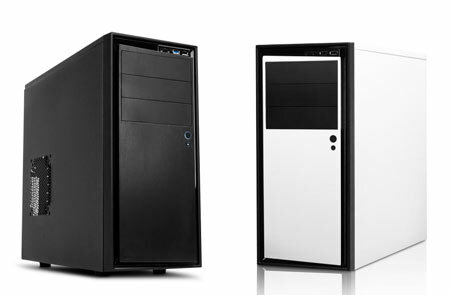 Building your own 'budget' desktop tends to be a losing proposition nowadays anyhow. I have a Dell XPS 8300 with an i7-2600, 8GB RAM, and a 5770 that I paid under $600 for on the Dell outlet over 6 months ago, and a lesser XPS 8300 with an i5 that I paid under $400 for and am using as an HTPC of sorts. OEM machines also make sacrifices. I get tired of replacing hard drives and power supplies in Dell machines. The upgradeability and customization aspects are also to be considered. They certainly don't have a lot of headroom for future improvements. In particular, if you want to slap more than a budget graphics card in that machine, you need a new PSU. Dell's XPS brand tends to be a cut above their budget boxes. If you can find one of those brand new for $600 or less, there's no question it's a worthwhile purchase. I still have an old XPS 410 (Core 2 Duo E6600) that's plugging along, and while the power supply fan makes a bit of noise on occasion (mostly when cold), the only issue I've had is that the old GTX 7900 got a bit too old for my tastes. It's now running an HD 5850 (for over a year), and the 375W Delta Electronics PSU is working well enough. My biggest gripe is that the PSU Dell includes has these perfectly specced cables so that everything goes together really well, and if I swap out the PSU the HDD placement in particular is an issue for cable routing.